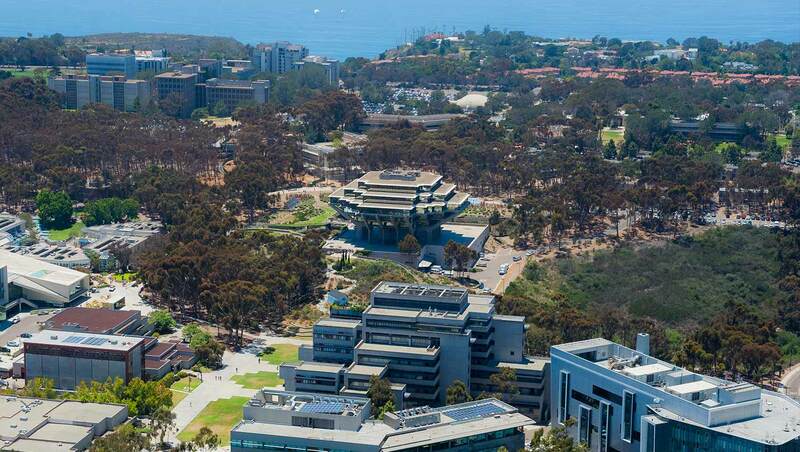 Twenty-two University of California, San Diego scientists and physicians are among the 2015 listing of “The World’s Most Influential Scientific Minds,” an annual compendium of “Highly Cited Researchers” by Thomson Reuters, a multinational mass media and information company. The listing represents a review of approximately 9 million researchers producing upwards of 2 million published studies around the world each year. The authors and their works are recognized as those most often cited by fellow scientists. More than 3,125 scientists are identified in the 2015 edition. Almost half are based in the United States, a representation that far outstrips any other nation. The 10-campus University of California had the greatest number of highly cited researchers among predominant institutions, with 160. Yuri Basilevs, Ph.D., professor in the Department of Structural Engineering. Bazilevs’ research involves predictive modeling in engineering and sciences. He develops computational techniques and tools that address grand challenge engineering and science problems in renewable energy, medicine and, more recently, protecting the infrastructure against man-made and natural disasters. He is cited in two categories: computer science and engineering. Kristin S. Cadenhead, M.D., professor in residence, Department of Psychiatry. Cadenhead is director of the Cognitive Assessment and Risk Evaluation program, which identifies adolescents and young adults at risk for serious mental health issues later in life. Don W. Cleveland, Ph.D., Distinguished Professor of Cellular and Molecular Medicine, Medicine and Neurosciences. Cleveland’s research looks at the molecular genetics of axonal growth and motor neuron disease, such as amyotrophic lateral sclerosis, and the cell biology of mammalian chromosome movement. Anders M. Dale, Ph.D., professor of radiology and neurosciences. Dale is co-director of the Multimodal Imaging Laboratory, a program to develop and advance computational neuroimaging techniques. Mark Estelle, Ph.D., Distinguished Professor of Biology. Estelle is identifying and characterizing the biochemical pathways of the plant hormone auxin, which is involved in every stage of plant growth and development. Douglas R. Galasko, M.D., professor in residence, Department of Neurosciences. Galasko specializes in both basic and clinical research related to Alzheimer’s disease and other neurodegenerative disorders. Uri Gneezy, Ph.D., professor of economic and strategy and Epstein/Atkinson Chair in Behavioral Economics. Gneezy’s research focuses on putting behavioral economics to work in the real world, such as incentives-based interventions, Pay-What-You-Want pricing, and the detrimental effects of small and large incentives. Kun-Liang Guan, Ph.D., professor of pharmacology. Guan conducts research into signal transduction in regulating cell growth and organ size, and how dysregulation results in human diseases, such as cancer. Michael Karin, Ph.D., Distinguished Professor of Pharmacology. Karin’s lab explores how cells and biological systems function at the molecular level in both health and stressed or diseased states, in particular the role of inflammation. Karin is cited in two categories: immunology and molecular biology. Jacqueline Kerr, Ph.D., associate professor, Department of Family Medicine and Public Health and director of the Research in Environments, Active Aging and Community Health. Kerr studies how individual and community behaviors affect health. Rob Knight, Ph.D., professor of pediatrics and computer science. Knight and colleagues study the human microbiome – the totality of microorganisms living in and on us – and how they can be manipulated to benefit human health and the environment. Eliezer Masliah, M.D., professor in the Department of Neurosciences. Masliah investigates the molecular and cellular mechanisms of neurodegeneration in Alzheimer’s disease and other disorders, specifically the role of synaptic proteins. Bernhard O. Palsson, Ph.D., Galetti Professor of Bioengineering, professor of pediatrics and director of the CHO Systems Biology Center. Palsson’s research focuses on developing experimental and computational models of the red blood cell, E. coli, CHO cells and several human pathogens to study cellular life. Sergei L. Kosakovsky Pond, Ph.D., associate professor of medicine. Pond is an infectious disease specialist who develops computer models of evolving pathogens, such as HIV and the Hepatitis C virus. Bing Ren, Ph.D., professor of cellular and molecular medicine. Ren uses systems biology to understand the transcriptional regulatory programs responsible for making various cell types, including stem cells. Lewis J. Rubin, M.D., professor emeritus of medicine in the Division of Pulmonary, Critical Care and Sleep Medicine. His research interests are pulmonary vascular disease and pulmonary arterial hypertension. James F. Sallis, Ph.D., Distinguished Professor in the Department of Family and Preventive Medicine. Sallis’ primary research interests are promoting physical activity and understanding policy and environmental influences on physical activity, nutrition and obesity. William J. Sandborn, M.D., professor of medicine and chief of the Division of Gastroenterology in the School of Medicine. Sandborn directs a research unit conducting clinical trials of inflammatory bowel disease, evaluating new diagnostic tools and treatments. Julian I. Schroeder Ph.D., Distinguished Professor of Biology and co-director of UC San Diego’s Center for Food and Fuel for the 21st Century. Schroeder is identifying the basic molecular mechanisms by which plants respond to and mount resistance to abiotic stresses. Murray B. Stein, M.D., MPH, Distinguished Professor of Psychiatry and Family and Preventive Medicine. Stein directs the Anxiety and Traumatic Stress Disorders Program, investigating the epidemiology, neurobiology and treatment of anxiety disorders. Roger Tsien, Ph.D., professor of pharmacology, chemistry and biochemistry. Tsien focuses on developing new molecules to image and treat cancer, atherosclerosis and other diseases. His work earned him the 2008 Nobel Prize in chemistry. Joseph Wang, Ph.D., Distinguished Professor and Chair of Nanoengineering and director of the Center for Wearable Sensors. Wang’s work includes developing nanomotors and wearable sensors for medical, military, security and environmental applications.